This week a tarantula from the desert southwest was named after me. The species was named by my colleagues Chris Hamilton, Brent Hendrixson, and Jason Bond in the journal ZooKeys (doi: 10.3897/zookeys.560.6264). A few years ago on October 27, my wife Charity and I (and our dog) took a backpacking trip to West Clear Creek Wildnerness in Yavapai County, Arizona. It was a beautiful place and an excellent recommendation by Charity. 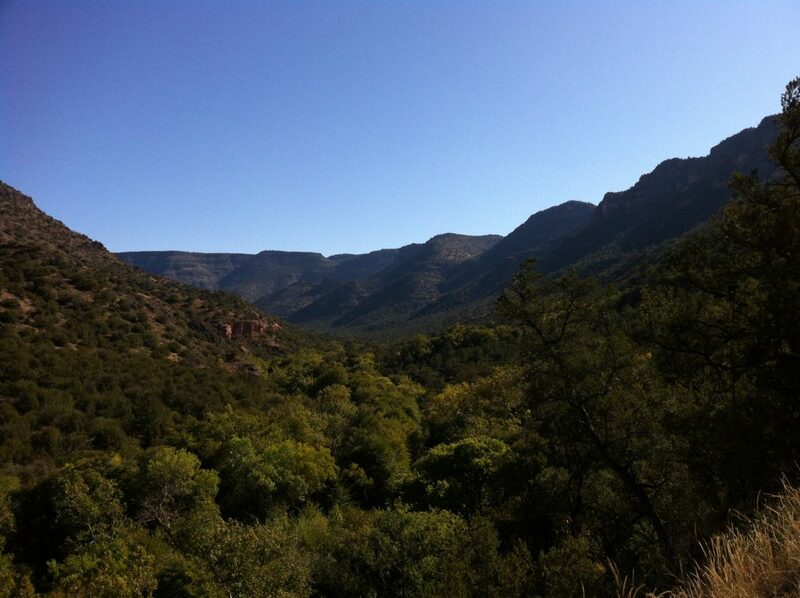 During the hike, we backpacked, camped, swam, and took day hikes (and night hikes). 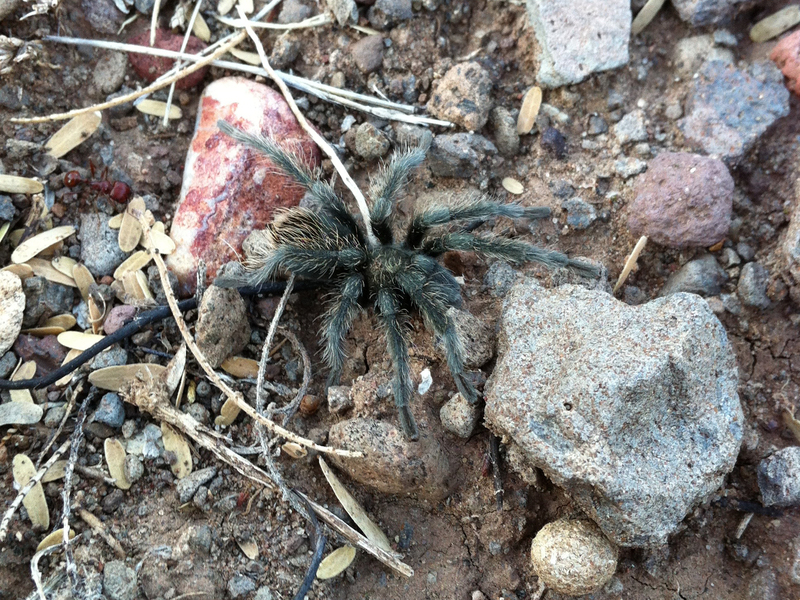 One evening, we hiked out from the camp and found a neat black tarantula with sandy blonde highlights. I knew it wasn’t the common and widespread species Aphonopelma chalcodes, so I collected it for my spider colleagues. (Tarantulas are easy to collect because they’re relatively docile—you just touch their back legs and they’ll crawl right into a peanut butter jar.) 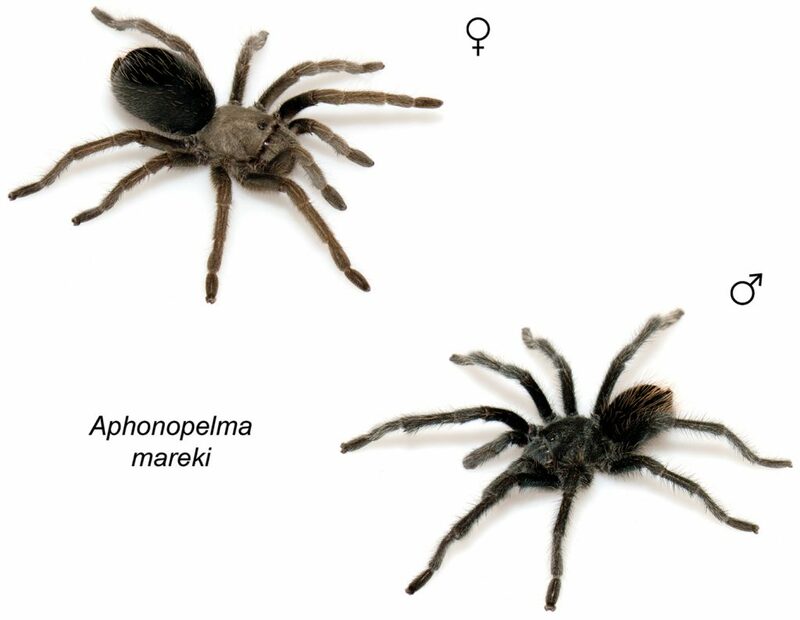 The spider turned out to be a new species, and I was truly honored to have it named after me. The article that contains the new species is 340(!) pages long, and includes taxonomic treatment of all 55 species of the genus Aphonopelma. It’s was a huge undertaking and a wonderful published work. This entry was posted in Uncategorized and tagged arthropods, biodiversity, fieldwork, tarantula. Bookmark the permalink. Thanks for sharing the good news (w/link to paper) and the great photos from the land o’ Marek’s Tarantula. Great work by all and congratulations. Locally, we also learned of the new species in the Sierra Nevada foothills, now called A. johnnycashi. I’ve come across many of them in the gold country of Nevada, Placer, and El Dorado Counties. During the week of celebrating Charles Darwin’s contributions to science, the news of A. mareki and A. johnnycashi calls for another round. Cheers! The “Ring of Fire” song will forever remind me of the lost continent of “Pacifica” and the rim of fire upon which myriapoda and other species have been distributed around the Pacific.